← IGDA Scholarship for GDC 2016 Are Open! We’re very happy to announce that the nominations for this year’s Board of Directors election are in, with a total of 8 candidates running for 4 open seats and the opportunity to directly shape the chapter’s future. These new directors will serve for up to 2 years, and join existing board members Mark Hastings, Bert McDowell, Alice Rendell and Timea Tabori. This also means that the voting phase of the election process has begun, where IGDA members (with voting rights) can have their say on how the chapter is led, and the chance to decide who best represents their interests. You are welcome to join us for the Annual General Meeting and Social on Wednesday, 25th November from 19:30 at The South Tay Superstore in Dundee, where we will announce the election results and have a game-themed pub quiz to celebrate. We are still seeking a sponsor for the AGM! If you can help, please contact info@igdascotland.org. Please return your votes ASAP, the deadline is 23:59 GMT on 23rd November. Votes received after that time will not be counted. The results will be announced at the Annual General Meeting on 25th November. You can learn more about our election process by reading our 2015 Election Procedures Policy. If you’re an IGDA member with voting rights (i.e. not a student member), you should have been emailed about how to cast your vote. If you think you’re eligible to vote, but haven’t been sent voting instructions, please contact info@igdascotland.org. I am a passionate game maker and believe wholeheartedly in the medium of games as well as the talented and skilled community of fellow developers. I am an independent game designer, artist and producer working on experimental and meaningful games. Since co-founding the award winning studio Quartic Llama, I have establishing Scotland’s first game collective and co-working space in Dundee in order to support a community of independent game developers. By working side by side and holding events we have encouraged the local community to exchange knowledge and support each other. I have won a number of awards including Dare to be Digital 2011, Develop top 100 Studio 2013, Arts & Business Scotland Digital Innovation award. I have also been nominated for a BAFTA (Ones to Watch 2012) and for the IndieCade Festival 2013 for Other, created in partnership with the National Theatre of Scotland. I have built a strong network of local and international contacts whom I stay in touch with by attending conferences and festivals including, Develop, GDC Europe, Amaze and GameCity. This circle of contacts extends beyond the games sector and includes art & culture, public service (local and national government), press and private sector contacts. As part of the Cross Creative program I visited start-ups and large studios in Toronto and San Francisco which gave me an international perspective on the business of games. I want to be involved in the IGDA in order to help promote the organisation to the community of game developers in Scotland. The three key areas I would like to help the IGDA to work on it diversity, collaboration and a work life balance of its members. I want to help our community to embrace diversity in terms of gender, representation of minorities and game content. Secondly I am keen to promote collaboration as it can lead to innovation, new ideas and connects us to new art forms and disciplines. Lastly I am a strong advocate of an equal work and life balance and I feel that the IGDA needs to nurture its community in order to combat the crunch mentality that often students and professionals feel they need to aspire to. It would be an honour to serve to strengthen and grow the Scottish IGDA chapter to better meet the needs of the community. ‎ I currently sit as the Director of Public Relations and the audio lead at Team Junkfish. Having released our first title we are now working on our second project where I also have some responsibility for scenario and story design. In addition to this, I have been a guest lecturer on game audio for Masters Students at the Glasgow School of Art. I have been involved in various IDGA meetings and sponsored events both as an attendee and contributor including the Edinburgh Game Symposium, Games are for Everyone and GamesWest. As you can imagine, this has allowed me to develop a fresh understanding of our industry, from education to working professional, and grow my network; both of which would prove great assets to IGDA Scotland. If elected to the IGDA Scotland board I would like to improve the support offered to members. Be it through networking with other developers or services, or setting up events and talks where developers can discuss techniques and issues and share their knowledge with the local development community. I believe this would help with some of the skills shortages and knowledge gaps, such as PR, marketing and audio, faced by smaller developers in Scotland and assist with their long term sustainability. Similarly I would like to work with other regional game development associations, hubs and associated groups such as GaMaYo, Game Audio North and Game Kettle though information or skill sharing and collaberative events to bolster the the growth of developers and freelancers in Scotland. These groups have worked together in a number of ways, such as sharing booth space at large shows and presenting a collective front for their regions’ output, which is something I believe the IGDA should support through the likes of the Scottish Games Network. Additionally, I would like to set up UK-centric benefits for chapter members to make use of. I feel that the IGDA has a very US focused approach which should be broadened to benefit its international members more. I’ve been a game developer for over 15 years and living in Scotland since 2010. I’ve worked the whole range, pretty much – AAA, handheld, mobile, flash, publishers and independents of all sizes. I’m now a self-employed indie, so you’ve maybe met or seen me at Protoplay or Games Are For Everyone, speaking at Edinburgh Games Symposium, or loitering at some other social. I haven’t been involved in the IGDA before, mainly because I’ve never seen a huge amount of value in it to me as a professional. I’ve been to some meetups over the years and they’ve been mixed experiences. I feel they should be the cornerstone of a healthy IGDA community, where professionals and students mix to chat and hear interesting stuff. There have been some fantastic and interesting talks at IGDA events, and if I’m elected to the board my focus will be on making more happen. No sales pitches, just great content that’s entertaining and informative to students and developers alike, and that forms the basis of a solid evening of catching up, networking and discussion that provides value to attendees no matter where they are in their careers. My goal would be to use connections and relationships built over my time in the industry to reach out and bring in speakers you’d like to hear from. I want you to look forward to next month’s meeting and not mind travelling to another city for it. I’m Tom – a game writer and designer. I was at One Thumb Mobile in Glasgow for over four years, but earlier this year I decided to embark on a period of freelance work, and since then I’ve written for various clients including Choice of Games and Pocket Gems, with others on the way. While prosperous, the games industry is – in terms of the numbers of people involved – still quite a small sector that thrives on the ties between individuals to both transfer knowledge and create opportunities. We’re lucky enough to live in a part of the UK with a successful development scene, but while there are a number of excellent directories and other resources online that allow individuals to contact developers or companies, the equally important realm of face-to-face contact, in the form of conferences or other events, is comparatively neglected in our region. Of course, many people in the industry know one another well already – especially so in Dundee, where many Abertay graduates go on to work in one of the studios the city is home to. This is no bad thing of course, but I often feel that other areas are much more fragmented. Over the past year I’ve met developers and students from Elgin, Paisley, Ayr, Glasgow and Edinburgh, and was always struck by the insular nature of their own development communities, often limited to a small group of friends or colleagues. My first job in the industry came through the Game in Scotland event in Dundee – a great opportunity not only for students to make contact with potential employers, but also for professional developers to renew acquaintances or, in many cases, to meet for the first time. I returned to Game in Scotland many times in subsequent years, but sadly the event did not run in 2015. I think that the Scottish games industry needs events of this kind to bring us together, to welcome in new talent and to reinforce existing connections. If I was elected to the board, I would hope to create opportunities for developers to meet face-to-face in a professional capacity, and ultimately to facilitate wider connections between the various development communities in Scotland and, potentially, beyond. Renew our focus on regular and consistent monthly meetings in each city, with a broader range of engaging content. Maintain our ongoing efforts to promote diversity within the Scottish games industry and support groups and game developers promoting STEAM skills in young people. Continue to encourage Scotland’s outstanding IGDA Scholarship track record and support student-led game development groups. Endeavour to follow through ongoing efforts establish the chapter legally as a non-profit organisation within the next 12 months. Strengthen our relationships with industry bodies, government, and academia (colleges too, not just universities) to better advocate on the part of Scottish game developers. An example of this would be our submission to the Scottish Parliament EET enquiry late last year. I’m a Glasgow-based game developer and artist, working professionally for the last 7 years at studios such as Rockstar North, and Creative Assembly. My most notable work so far has been as Lead 2D/UI Artist on the critically acclaimed “Alien: Isolation”, working on both the game UI art and design systems, but also working closely with the PR and Marketing team. This opportunity allowed me to deliver several talks at EGX and BAFTA London, present work in the official development diaries, take part in international press interviews, and earn a nomination at SXSW for my title sequence work. In 2013, I also released my first indie game, ‘Lub vs Dub’, which earned our small team a New Talent BAFTA Award and was heavily featured by Apple. This year, I’ve finally left AAA development to form a new independent Glasgow-based studio ‘No Code’. If granted the opportunity to join the IGDA Board, I would like to help graduates and veterans alike push their careers forward both creatively and commercially. Funding, developing, and releasing your own game independently is extremely challenging, and hopefully my successes and failures can help inform others. I believe my experience in both development and marketing on various scales can be used to help other developers raise awareness of their projects, and boost the profile of our national scene. Bridging the gaps between regional development scenes, in order to create a more attention-grabbing national scene, followed and respected worldwide. Foster relationships with experienced developers and attract them to work or start up in Scotland, with the goal of not only providing their resources to development, but their mentorship to our graduates here – to ultimately reduce the ‘brain drain’ we currently suffer from. Work closely with experienced developers to create a mentoring and feedback group, providing advice to independent studios and developers who are looking to release projects commercially, and help them push the quality bar as high as they can to ensure the best chances of success. I hope that my experience and passion for improving the state of our industry will be of use to IGDA, it’s members, and the game development scene both nationwide and beyond. Having volunteered for the chapter for eighteen months now, you may recognise me as the person with the camera in everyone’s faces at various IGDA events. 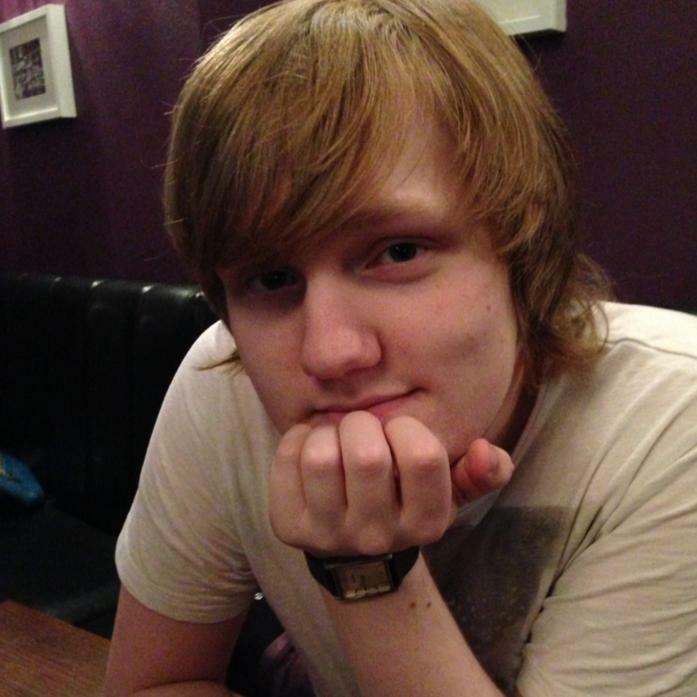 I am in my 3rd Year of studying Game Design and Production Management at Abertay University in Dundee, currently hold the position of Secretary for the award winning Game Development Society and working on a yet to be announced project in a small team for Hexwar Games. I’ve achieved a lot over the last year and a half, but none of it would have happened without the support, inspiration and guidance of those I’ve met through this chapter. I believe that one of the Chapters greatest strengths, is the influx of new talent arriving every year at one of the numerous fantastic Universities throughout Scotland. These Students should be encouraged to participate more with the organisations that can represent them within the industry, such as IGDA. As such if I am appointed, I intend to work with the board to encourage students from all levels of education to be more active within the community. In addition to working to involve more students, I want to work to find ways to encourage and include more people with disabilities in the industry. Currently the games industry has a lower than average percentage of disabled workers. As someone who suffers from a disability, I know all too well some of the challenges people can face. Whilst the IGDA does excellent work, most of it is focused in the centre of the country. This is by no means a criticism, however I think that the Chapter could do a great service by helping to expand the opportunities of the games industry to people further afield. This could take the form of partnerships with schools and creative organisations such as ScreenHi. As someone from a small community in the Highlands, I would be well suited to help with this. I have proposed a number of new ideas here, but I also want to continue supporting all of the great initiatives the Chapter has. I have experience with many cultures and people from around the world, believe strongly in communication and collaboration and to finish off this cliched grouping of buzzwords, I am incredibly passionate about the industry and games as a whole. I think I am the right person to be joining the board, and I hope you think so too.